Just how reliable is that source? Many of us have been betrayed, genealogically speaking, by a source that appears to be reliable but is not. Often the source is reliable for the most part. But that fact gives you no comfort when the information in which you are interested turns out to be incorrect. This is why we insist that every statement that is not common knowledge be cited to one or more reliable sources. For example, when working on a colonial Boston family, you should use the Thwing Index (Annie Haven Thwing, Inhabitants and Estates of the Town of Boston, on CD-ROM). However, take the time to look at the original documents cited. Many of her abstracts are faulty, particularly for wills, and her genealogical conclusions are not always correct, especially when there was more than one person of the same name. Another example is a basic source for colonial New York, the seventeen volumes of Abstracts of Wills, published by the New-York Historical Society. It is essential to look at the original will libers on microfilm and/or the original wills (many of which have survived and are at the State Archives in Albany). The early volumes of abstracts especially are riddled with mistakes, some major, that are not corrected in the last two volumes. Sometimes long-repeated connections that look good have made their way into compiled reliable sources. For example, the long-standing claim that Ann, wife of Thomas2 Pell of Westchester County, New York, was the daughter of Wampage, a local Indian chief, has been published in two otherwise excellent all-my-ancestors works. However, two Pell descendants have determined that Ann’s origins are unknown, although their article has not yet been published. Often the betrayal is of our own making. We rely on a source to be complete and it isn’t. 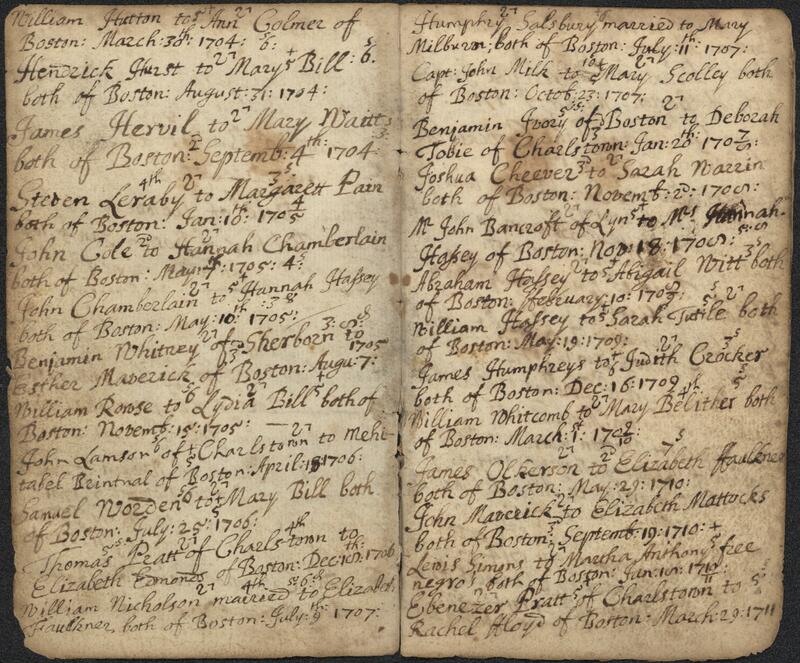 For example, the Barbour Collection of Connecticut Vital Records does not cover all the towns in Connecticut or even all the records of the towns it includes — yet it is easy to forget these caveats and assume no record exists of a particular birth, marriage, or death. (See, for example, Chris Child’s recent blog post on identifying Sally Latimer Goold.) Or we cite an index as a source, and later find out we were not quite right. An important example of this is Torrey’s New England Marriages Prior to 1700. Torrey intended this only as a finding aid for researchers to consult the sources he cited and draw their own conclusions. The moral of the story is to look for original records whenever possible — and be aware of the limitations of the sources you consult. I agree! I found a few errors in works thought to be good. When I did check actual records…had to throw out an entire line. Problem is that many are accepted as “gospel” and I have a devil of a time getting the real line looked at once in a while. I belong to several lineage societies. And one where the staff Genealogist basically swears by . “Have you checked” is a good one for the top of the any research notebook! My current one is “He died unmarried in Foxcroft”….He had a wife and 9 children. Authors sort of missed a few documents! And it gets perpetuated by others who also “swear by”. I have even found errors in “official” documents such as censuses. Information in those were sometimes gotten from neighbors. I have one where I know the info was given to census taker by the housekeeper and she had only been working there a few weeks. My great great mother’s house. My great grandfather is listed as having been born in Minesota. (Where his father was living) His step father had just died and he was helping her with the usual details involved or he wouldn’t have been in that household at that time. In fact he is listed in two census reports. It actually helped confirm the relationship. Different last names and that area the town records are nearly if not completely illegible in time period I was looking at for his birth, his mother’s birth as well as the marriage between his parents. Grain of salt but worth tracking down!!! Agreed. And one must always review the real census records; the transcriptions are often faulty. I got a cautionary lesson last year when I found my great-grandfather’s Cleveland OH death certificate filled out by his son (my grandfather)–a PhD classicist, so presumably reasonably given to accuracy–with wrong first names of both parents. 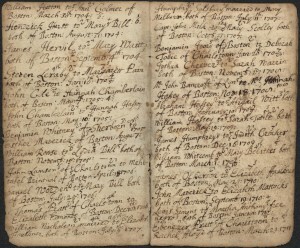 I had long since found the original German church records confirming their births and marriage and his (great-grandfather’s) own birth and christening. so this came as a bit of a shock. I guess grandfather was just winging it at that point; later he had all the right details to hand in a family record his father compiled (which I used to find the church records). Now I’m wondering whether to try to get the OH record corrected, though in principle I dislike the idea of primary records being fiddled with by well-meaning descendants. There are times that it is good that you actually know the person for whom you are searching. In one census, everyone was black, including my aunt and uncle. They actually had 2 daughters but in that census, they were listed as boys with names nowhere near their birth names. Regardless of the source, I look at it as a hint or stepping stone to the whole truth. It can be so challenging sometimes to objectively analyze each ancestor and each document when you’re hot on hunt. But doing so will save both time and heartache in the end. As part of my self-education/prep for my certification portfolio, I’m going back over my earliest work to bring it up to standard. In the beginning, so many of us accept what we’re told or what conforms to our built in beliefs. There have been a few surprises, blessedly all minor so far. Mostly of the ‘yes, but how do I know that” variety. When it comes to researching literally any line I have found that I must work as hard to prove myself wrong as to prove myself right. It is very much a case of continous verification – whatever the source might be in light of any given time frame. Citing sources is always the right thing to do. But it is up to the careful genealogist to search widely, then to reason out discrepancies between sources’ data. Detailed evaluation of the body of data found on a given point (say, a vital date) is the keystone of good genealogy. On a scale from 1 to 100, what is the probability that the birth of a girl, born in Connecticut in 1773 or 1774, was recorded by the town in which she was born and that the transcribed record of that birth can be found in the Barbour Collection today?